This whole thing started with none other than Cole Sprouse – who is apparently dating (in real life) his series co-star, Lili Reinhart. 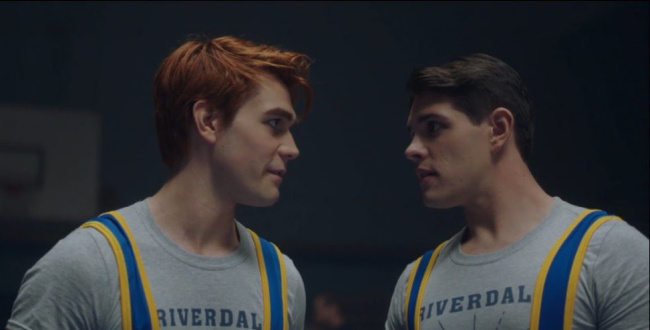 And while we’re at it – Riverdale is coming back for Season 3 next month, and you know what that means – plenty of hot moments to spend with KJ’s six-pack, which is getting better and better each year. And here’s a photo from the upcoming season. Don’t forget to breathe.